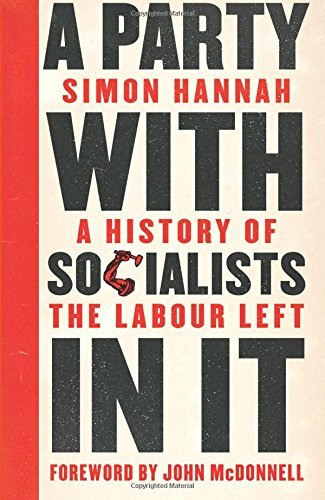 For American leftists wrestling with the question of whether the Democratic Party can be remade into an instrument of “democratic socialism”, I recommend Simon Hannah’s newly published “A Party With Socialists in It: a History of the Labour Left” even though there is not a single word about Bernie Sanders. Since many on the left view the Democratic Party and British Labour as essentially the same, an excursion through Labour Party’s history would help to validate or falsify that claim. Ironically, Corbyn himself lends credibility to the comparison by openly admitting that he got his ideas from Bernie Sanders. Playing Gaston to Corbyn’s Alphonse, Sanders saw Corbyn’s efforts to transform politics and take on the establishment as parallel to his own campaign. There is also the close affinity between the two politicians whose neoliberalism helped to fuel leftist rebellions in both parties. Just as Corbyn and Sanders saw each other as kindred spirits, so did Tony Blair and Bill Clinton. Blair’s New Labour turn and Clinton’s reshaping of the Democratic Party to conform to the Democratic Leadership Council’s precepts were cut from the same cloth. Seeking middle-class support, particularly among those voters benefiting from the technical and financial sectors, the DP and Labour saw blue-collar workers as expendable. All of this is indisputable. However, one cannot gloss over the class differences between the DP and Labour or their institutional and organizational distinctions. Reading Simon Hannah’s history of Labour will make you acutely aware of their differences. The title of the book is carefully chosen since it is written from the perspective of those who have struggled for more than a century to turn the Labour Party into a genuine socialist party. To understand the dialectics of this struggle, you have to go back to the party’s formation that combined contradictory elements. From the Fabians, it got the idea that socialism could be achieved through piecemeal reforms. In essence, they were Britain’s Eduard Bernsteins. It is not hard to understand why Germany and Great Britain would be susceptible to reformist illusions. As two of the most advanced economies in the late 1800s, workers would find revolutionary socialism a risky proposition. Why build barricades when the ballot would serve your needs? Even the trade unions in England bought into the gradualist schemas, or more accurately the trade union officialdom. As counterparts of Samuel Gompers, they saw their role as mediating between the boss and their dues-paying membership. At the conference that launched Labour in 1900, the only participants that could be mistaken for Marxists were those of the Social Democratic Federation led by Henry Hyndman, an eccentric businessman who formed the party after reading the Communist Manifesto. If Ramsey MacDonald had ever read the manifesto, it certainly didn’t show. His concept of socialism was based on the idea that workers and bosses were part of the same organism and that it was Labour’s job to prevent either class from becoming too greedy. Nobody at the conference had spent much time analyzing the British state, including Hyndman. Another leftist component of the Labour Party was the Independent Labour Party that despite the similarity in name was closer to Hyndman politically. When WWI broke out, the ILP took an antiwar stance just like Eugene V. Debs. However, its internationalism only went so far. When the Easter Rebellion broke out in Ireland, they lined up with Ramsey MacDonald in calling for its suppression. In 1917, the Russian Revolution shook up the left everywhere, including England. A Communist Party was formed in 1920 that immediately took up the question of its relationship to Labour. Those of you familiar with Lenin’s essay on ultraleftism know that the young Communist Party held a sectarian position. After reading about Ramsey MacDonald in both Richard Seymour and Simon Hannah’s books, I understand their position better even if it was wrong. Meanwhile, the ILP continued to be the main socialist organization in England, electing a number of MP’s from Glasgow in the 1920s who scandalized the rightwing of the party by singing “The Red Flag” outside of Parliament each morning. When the miners launched a general strike in 1926, the ILP provided much of the support while MacDonald and his likeminded MP’s did everything they could to sabotage it. Among the ILP activists was a very young Aneurin Bevan from Wales who dropped out of school at the age of 14 and went into the mines to work alongside his father. Eventually, he became an MP and devoted to the working class cause. In the 1950s, he was the Corbyn of his day. Indeed, when you connect Bevan to Tony Benn and then Benn to Jeremy Corbyn, a persistent red thread becomes apparent, one that has no equivalent in the Democratic Party. When the Great Depression hit England, MacDonald proposed a coalition government with the Tories that so antagonized Labour voters, it resulted in the party not winning an election until after WWII. Unlike the USA where FDR carried out Keynesian economics, Great Britain was effectively ruled by their version of Herbert Hoover, with Labour offering no alternative. Fed up with Labour reformism, the ILP disaffiliated with some members going on to form the Socialist League that included Harold Laski, Ralph Miliband’s professor, Aneurin Bevan and Michael Foot. Hannah writes that the League was the first theoretical challenge to Labourism. Unlike the ILP, it remained affiliated to Labour and hoped to influence party policy through books and articles written by its intellectual cadre. Yet the objective of a socialist party, and of the Labour Party in so far as it deserves the name, is simplicity itself. The fundamental question, as always, is: Who is to be master ? Is the reality behind the decorous drapery of political democracy to continue to be the economic power wielded by a few thousand—or, if that be preferred, a few hundred thousand—bankers, industrialists and land-owners ? Or shall a serious effort be made—as serious, for example, as was made, for other purposes, during the war—to create organs through which the nation can control, in co-operation with other nations, its own economic destinies ; plan its business as it deems most conducive to the general well-being ; override, for the sake of economic efficiency, the obstruction of vested interests ; and distribute the product of its labours in accordance with some generally recognised principles of justice ? Capitalist parties presumably accept the first alternative. A socialist party chooses the second. The nature of its business is determined by its choice. For many, the Clement Attlee government of 1945 to 1951 seemed to be the second alternative. Through its nationalization of much of the economy and the creation of a National Health Service, socialism was on the agenda at last. But this was no utopia. In the winter of 1946-47, a coal shortage left many homes without heat and light. This led some leftist MP’s like Michael Foot and others to form a group called Keep Left that was similar to the Socialist League, seeing itself as a pressure group on Labour. They wanted more state planning and a more forthright commitment to working class needs. In addition, they also opposed Labour’s growing ties to American imperialism in the early stages of the Cold War. Discontent with Attlee’s government also helped to spawn the Socialist Fellowship, launched by Ellis Smith and Fenner Brockway, former ILP members. Brockway helped to recruit people to fight for the Spanish Republic, including George Orwell, an ILP sympathizer. Like Debs, he was imprisoned for his antiwar activism during WWI. At the time he co-founded the fellowship, he was a Labour MP. If his profile resembles any Democratic Senator or Congressman you know of, please drop me a line so I can follow up. Maybe I should even offer a $50 reward for finding a needle in a haystack. Smith and Brockway consciously sought to include Trotskyists in their group, including Gerry Healy, as well as left MPs. They started a newspaper called Socialist Outlook that reached a circulation of 10,000 in 1951 during the depths of the Cold War. In a bid to expand its base and throw a bone to the left, the party leadership formed the Young Socialists in 1959 but kept it on a tight leash. They were ordered not to invite any Keep Left people to speak at their meetings. Ted Grant and Tony Cliff both adopted entryist tactics into the YS that worked to their advantage. Meanwhile, Gerry Healy approached the group with his typical sectarian bombast and was told to get lost. The experience of the Labour government of 1964-70 had a profound effect on Ralph Miliband. He saw that too many of the left MPs had been bought off with opaque phrases or vague promises of socialism and peace. They confused the rhetoric with the reality and grasped at each left nod from the party leadership as a new principled turn. By the time the second edition of Miliband’s Parliamentary Socialism came out in 1972, his conclusion was clear enough: Labour was finished as a vehicle for any kind of socialism. Even its Fabian perspective of gradual, incremental moves towards socialism had been abandoned by the party leaders’s Now it was a mere shill, a prop for the ruling class, and the Labour left was a busted flush, made up of isolated ‘pathetic figures’ able to mount ‘episodic revolts’ but nothing more. Miliband proposed ‘moving on’ from Labour, building something new. Nevertheless, the years following the publication of the second edition of Parliamentary Socialism heralded a renaissance for the left of the party, which went on to achieve breakthroughs in both politics and constitutional arrangements that changed the future of Labour. Something tells me that Robin Archer’s Why Is There No Labor Party in the United States? is worth reading. To paraphrase Mark Twain, when Ralph Miliband wrote his article, Labour’s death was being greatly exaggerated. Not only was there to be another fracas with Tony Benn taking on the rightwing, there would finally be Corbyn himself keeping alive the militancy that was present, even if only a flicker, at Labour’s birth. To secure for the workers by hand or by brain the full fruits of their industry and the most equitable distribution thereof that may be possible upon the basis of the common ownership of the means of production, distribution, and exchange, and the best obtainable system of popular administration and control of each industry or service. Despite the Fabian origins of the Labour Party, Corbynism represents the ripening of contradictions in the party that took a century to reach fruition. A hollowed out economy that has left millions of British left out and suffering can no longer be represented as one capable of being reformed. Despite the rather bland rhetorical style of Corbyn, the Labour Party can conceivably become a powerful vehicle of social change. It certainly won’t serve as a vanguard party but it is a necessary first step in coalescing the British left into a well-organized and powerful force that will fight to transform society in first country ever to become capitalist. Who knows? Maybe it will be the first to become socialist. I recommend another book about the origins of the Labour Party, on its main founder, Keir Hardie: Keir Hardie: A Biography Hardcover – 1 Oct 1992 by Caroline Benn (who was the wife of the late Labour left-winger, and herself American). A more pessimistic view would be that the Labour Left has only succeeded in overcoming the well placed barriers to ascendency through the disintegration of Labourism as a deeply rooted ideological and organisational force in society. The far lefts enthusiasm being partly accounted for by the reality that the crisis of their old rival proved to be an existential crisis for them too. The parallel here would be with the fate of those in the US who attempted to used the methods used by Irish and Italian migrants to establish themselves in black neighbourhoods-just as the real resources at the disposal of local government were being eroded. The Democratic Party in the US has reached out to the socialist left only at moments when there was no other way to suppress it. It was FDR who gave us the military-industrial establishment and the FBI–why do his tepid social-democratic reforms excite so much respect when they are transparently the very least that could have been done and have proved temporary? The evolution and development of the British Labour Party is very different–it’s a membership organization, rather than a mere prophylactic strategy (as per the Floundering Bothers, who railed as one against the evils of “Party”) to suppress true parties, for one thing. There is both a tradition and a labor infrastructure to return to if they can be jolted out of the Clintonian neoliberal orbit into which they were catapaulted by Blair et al. I can see a tactical value in voting for democrats occasionally–but none whatever in wasting scarce and precious resources of activism in campaigning for them or in supposing that the gently smiling crocodile won’t eat the little fishes that swim so trustingly into its maw if they are dumb enough to do so. I don’t know who to be mad at more: Nixon, who could have just as easily attacked her fellow-millionaires and billionaires for not paying their fair share of taxes (instead attacking workers for having, god forbid, a decent retirement after decades of hard work), OR the New York DSA guys who moronically chose to endorse a millionaire running as a Democrat. The question for the left is: Will DSA types learn their lesson, or will they continue to sucker-punch themselves in the head repeatedly, ad infinitum? If you have the patience to read Hubert Humphrey’s autobiography, you will find that he identified himself as a “social democrat” and looked at the relationship between the Democratic Party and the AFL-CIO bureaucracy as something akin to European social democracy. So we’ve already had a version of Bernsteinism in the U.S., and it led to the murder of over a million people in Southeast Asia.